[!!! 주의 !!!] 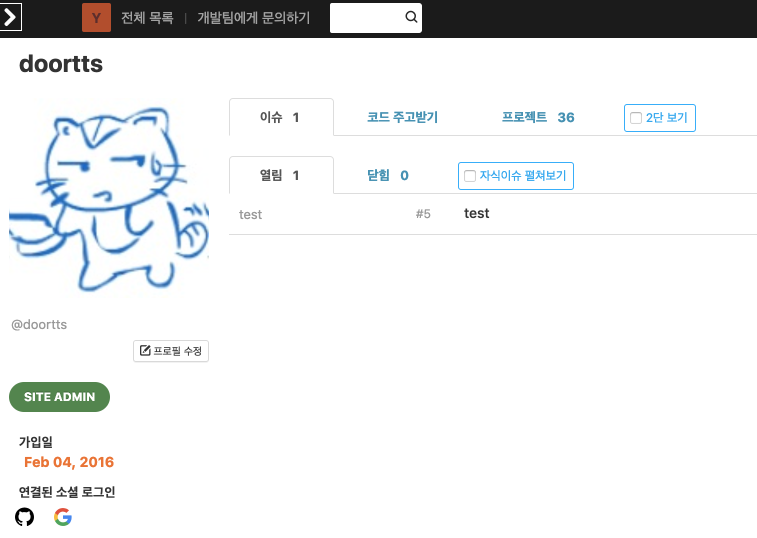 MariaDB 10.2 이상만 지원합니다. 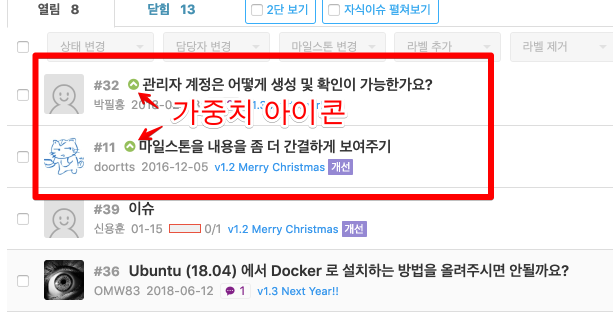 마리아DB 10.1 을 사용중이신 분은 MariaDB 버전 업그레이드 가이드을 참고해서 업그레이드를 진행해 주세요. 생각보다 쉽게 가능합니다. 이 버전은 대규모 환경에서 사용하시기엔 적절하지 않습니다. 예를 들면 출장이나 강의 혹은 프로젝트 지원이나 200명 이하의 작은 조직등에서 간단히 쓰다가 통째로 묶어서 이동할때 정도로 사용하시길 권합니다. 대신 Yona Export프로젝트를 이용하면 파견/출장등에 편하게 사용 후 프로젝트 데이터를 쉽게 부모 Yona 인스턴스로 옮길 수 있습니다. @pokev25 님이 https://github.com/pokev25/docker-yona 를 통해 Docker 지원을 도와주고 계십니다. 늘 고맙습니다. 매뉴얼 작성: @minishanell 님이 도와주고 계십니다! And dependency library updated and a lot of enhancements are applied. [!!! Caution !!!] MariaDB 10.2 and later version is required. Standard version. MariaDB 10.2 or later is required. Portable version. H2 DB is embedded. It isn't suitable for using under the circumstance of more than 200 people. But if you use Yona Export feature, you can transfer your project to other Yona instance. e.g. From portable version to MariaDB version.